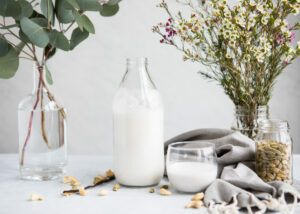 What all three of these vegan milks have in common is that they blend up completely smooth, so there’s no need to pour them through a nut milk bag before drinking. Which means you save yourself an extra step and you eliminate waste in the process. Yes, I’m lazy! Yes, I hate throwing away little bits of leftover nuts! And yes, I know you can use those little bits of leftover nuts to make other things! But I’ll direct you back to point 1: I’m lazy. 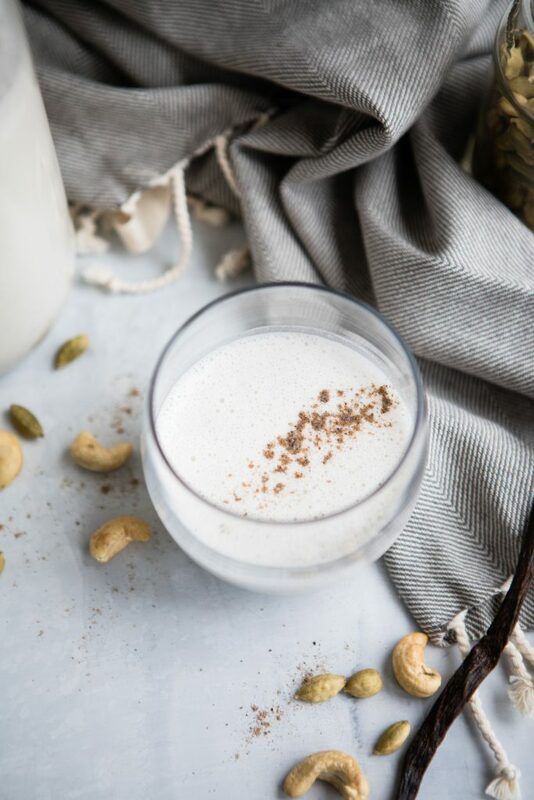 If you haven’t had homemade cashew milk before, you’re in for a treat. It’s creamier than other nut milks (maybe because cashews aren’t actually nuts at all?) and even without adding sweetener, it has that subtle sweetness of cashews. When made with only soaked raw cashews and filtered water, it’s fantastic as a substitute for dairy in pureed vegetable soups; if you’re not a fan of coconut milk, try using cashew milk in curries instead. While plain cashew milk is good, this Cardamom Vanilla Cashew Milk is my absolute favorite. I even make it for my daughter as a special treat because it tastes like a dessert. (It’s also great for making overnight oats or chia pudding!) Sometimes we make it with cinnamon and in the fall, it’s perfect with a teaspoon of pumpkin pie spice. 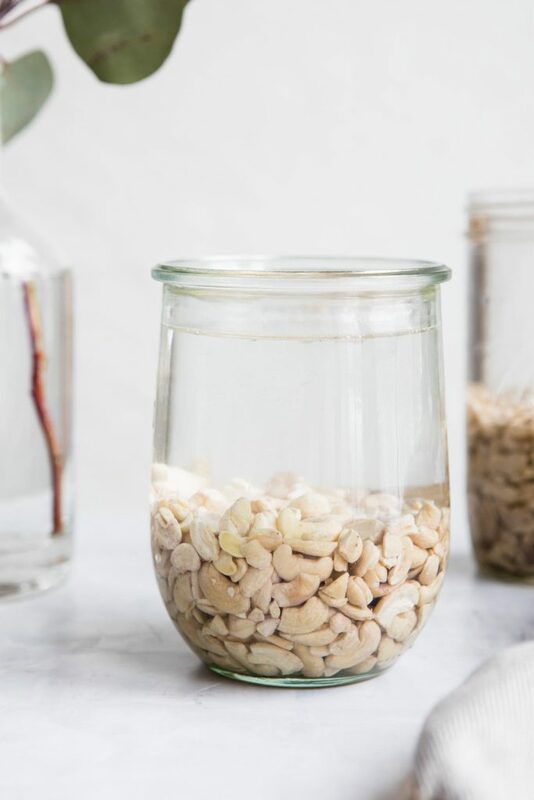 The easiest nut milk to make - no straining needed! Combine all of the ingredients in a high-powered blender and blend until smooth. (If you don't have a high-powered blender, you may need to pour the milk through a cheesecloth or nut bag before serving). Refrigerate the milk in a covered bottle for up to 3 days. Just give it a little shake before using. To soak the cashews, place them in a bowl and cover with filtered water. Let them sit for at least 4 hours, then drain and rinse.